It’s spring. If you haven’t been enjoying the beautiful signs of spring outdoors, it might be because you can’t see very well out of your cracked and chipped windshield. You have been meaning to get your windshield repaired, it’s just that you always get caught up with stuff at work or other distractions in your life. This is a shame because while you are overly-concerned about some work project or a television show on Netflix, you are missing out on a number of awesome spring activities. 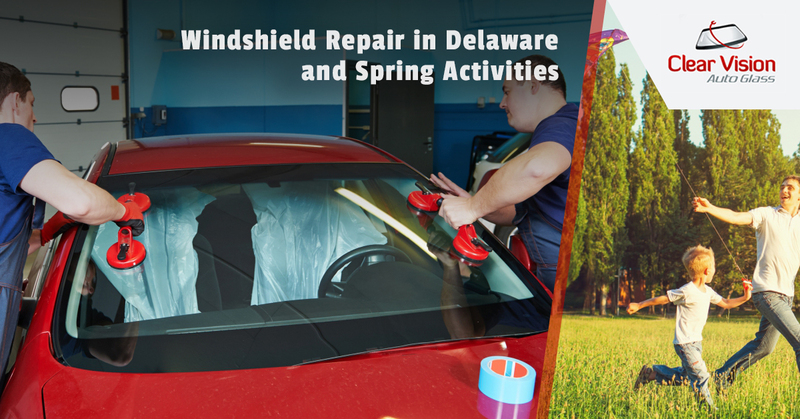 Here is a novel idea: Take a day off of work, call Clear Vision Auto Glass for windshield repair at your Delaware home, and then spend the rest of the day doing one of the following spring activities. Need a reason to go on a picnic on a fine spring day? We have several. First of all; it’s a quick escape from the ordinary, having lunch in a stuffy office setting. Many of our lunches are eaten at the office, in the car or on the run. Take the time to escape to nature and dine on a gourmet sandwich from your local deli. This is an activity you no doubt did as a child and we are guessing you still hold fond memories of it. So take the time to go buy a nice, colorful kite from your local hobby store and go kite flying. Soon enough, you will find yourself in an empty field with a stiff breeze in your face and a tight grasp on the string of your kite. You will lift your kite into the air and watch as the breeze takes it high into the sky. It sure beats sitting at your desk staring at a computer screen. You have fond memories of riding your Schwinn Stingray around the neighborhood. You rode that bike every day, sometimes by yourself and sometimes with friends. Capture that feeling once again by taking the day off to go on a bike ride. A bike ride on your own is a great way to clear your mind and enjoy a warm spring day. You could ride with a group of friends and enjoy conversations and laughter. You could also plan a ride with that someone special, bike riding makes a great date activity. Best of all, bike riding will burn some calories and give you time in the sun. Go to the pool on your day off of work and enjoy splashing around in the water, making awkward dives and just having a blast in general. And you don’t have to worry when the lifeguard yells “adult swim,” you are only acting like a kid. Spring is the best time to go on a hike because you get to enjoy the wonderful weather and the trails aren’t crowded. So take the day off to go on a hike and get a good dose of vitamin D.
So decide what day you want to take off from work and give Clear Vision Auto Glass a call. We will have your windshield repaired in no time at all and the rest of the day can be enjoyed participating in your favorite spring activity.